Bob Dylan just turned 70. An icon of youth protest in the 1960s, he is now an old man with a long history. 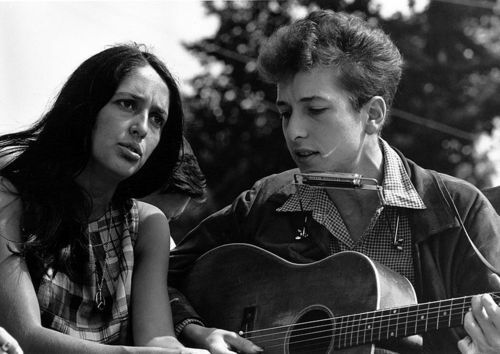 Dylan started out in music when he was just 19, living in New York’s Greenwich Village and forming part of the folk music scene there. He wrote songs like Blowin’ in the Wind and A Hard Rain’s a-Gonna Fall expressing, better than anyone, the discontent of young people with the status quo. In 1966, Dylan had a mysterious motorcycle accident, after which he retired from touring for several years. He produced several albums of varying quality. When he came back, he soon started singing Gospel music, becoming a born-again Evangelist Christian in the late 70s. He has recorded and toured extensively since then, but his most famous music continues being the songs he recorded when he was in his 20s.